There are a lot of home remedies that we can use for our skin treatment. Not just they are easy to find, these home remedies can treat your skin better than those of chemical products. Home remedies are good for any skin type or colour. 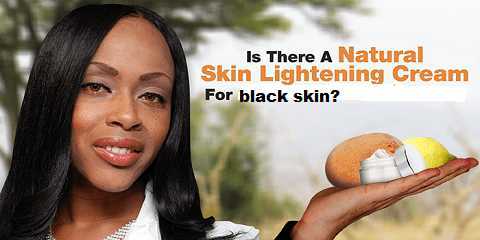 If you have a black skin, you can make simple natural skin lightening creams at home. This cream will improve our skin tone, remove the dark spots, and clear off blemishes. Natural skin lightening cream for black skin is made of various home remedies. We can make it on weekend and do our own skin treatment without spending too much time in salon or too much money to pay. The first cream is made of orange. With a high vitamin, the juice and the peel of orange can help the elasticity of our skin. It will encourage the skin to produce collagen fibre which maintains the skin to be firm. To make an orange cream, you need to prepare orange and turmeric. Squeeze the orange so we can have the juice. Mix two tablespoons of orange juice with a pinch of turmeric powder. When they blend, gently apply the cream all over your face and neck. You can also use this cream on legs or hands, depending on which body parts you need to lighten. After 30 minutes, rinse your face. When you take the orange juice, let’s not waste the peel. We can make a powerful lightening cream from orange peel. Dry the orange peel for a day or two. Grind the peel so it forms powder. Take a tablespoon of the orange peel powder and add a tablespoon of plain yoghurt. Stir the two to make a perfect paste. Apply the paste on your face for 20 minutes. We can use this cream once or twice a week. If you have a complexion, making a gram flour cream is the best way to lighten the skin. The nutrients in chickpea flour are very good for the skin as it can make the skin healthier. The flour will also remove excess oil from the skin which then promotes the reducing of acne and pimples. We can make a gram flour paste by mixing gram flour with rose water. Do not add too much water so the paste will be thick. We can apply this cream on our face, neck, hands, and legs. Once the paste dries on the skin, rinse it with water. You will feel your skin gets refreshed and moist. The next natural skin lightening cream for black skin is yoghurt. We all know how benefitting yoghurt is. The good thing is that yoghurt can be used by all skin types. We can apply plain yoghurt directly to our face. Let it sit for a few minutes before rinse it with lukewarm water. After using this treatment daily for several weeks, we can easily notice the change in our complexion. If you have raw honey at home, make use of it! Take a tablespoon of fresh yoghurt with a half tablespoon of honey. Apply the cream all over the face and neck for 15 minutes. Wash it off with water. Do not have honey? Find a lemon and oatmeal. Put the yoghurt in a bowl and then add some oatmeal and lemon juice into the yoghurt. Mix the ingredients so they form a thick paste. Use this paste as a face mask for 20 minutes. The last one and the simplest natural cream is Aloe Vera gel. Aloe Vera is widely famous as the best skin care ingredient. The gel can regenerate the new skin cells and then rebuild the damaged tissue. It will keep the skin healthy. We only need to cut a fresh Aloe Vera leaf. Cut the Aloe Vera leaf into half and rub the gel on the face, neck, hands, and legs. Let it sit for 30 minutes and then wash it off with water. It’s so easy and it only takes less than a minute to prepare. When you are going to use Aloe Vera, it’s better to use the fresh leaf. If you are wondering how to get the fresh leaf, it’s about time to plant this incredibly useful plant.